Low Voltage Motor with or without guide wheel set, and choice of roll bar adapter. Motor Specs: 100 Nm Single Shaft output, 24V, 4.2A, 100 watt, 3 RPM, 40 rotations, single output shaft. Light Deprivation Timed Controller Set the timer to control up to 8 full operation cycles per day or operate manually at the switches. 110V AC input, with 24V DC output for 2 Low Voltage Motors. Blackout Fabric Vinyl laminated on a mesh fabric weave of high endurance filament polyester offering total opacity. 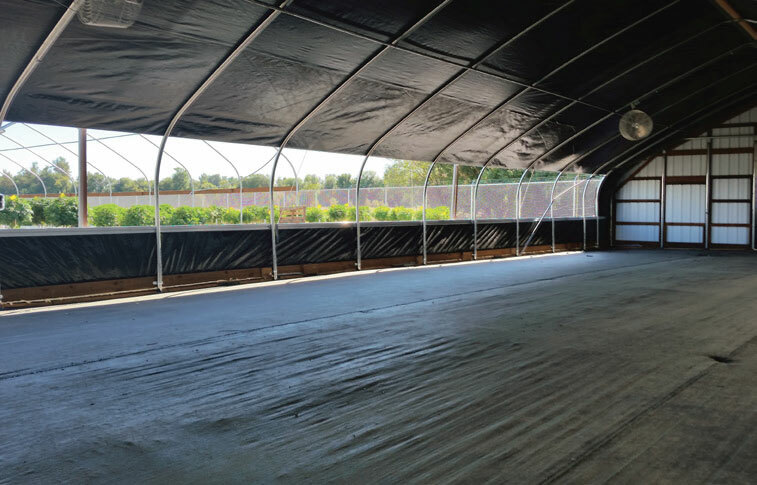 Excellent flexibility and durability in both hot and cold environments which lessens the effects of wrinkles in a curtain system that are inherent with polyethylene based blackout fabrics. 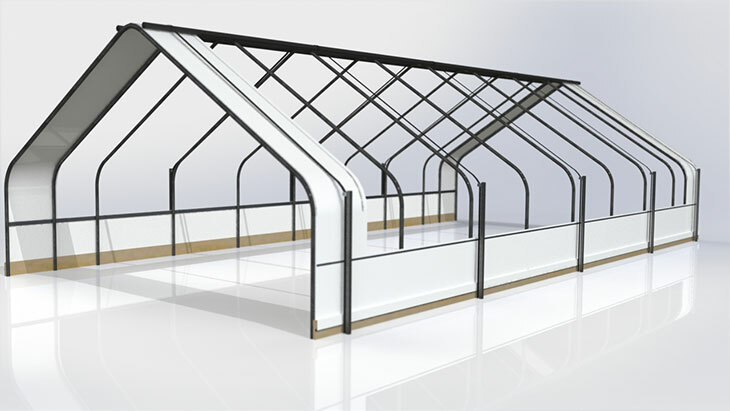 Reinforced greenhouse repair tape: is pressure sensitive and once it has been applied is not easily removed. This greenhouse repair tape consists of reinforced polyethylene and a 10 mil hot melt adhesive bonding side. It is wound with a silicone-coated paper release liner for easy installation, however the tape cannot be hand torn, so a utility knife or scissors are necessary. 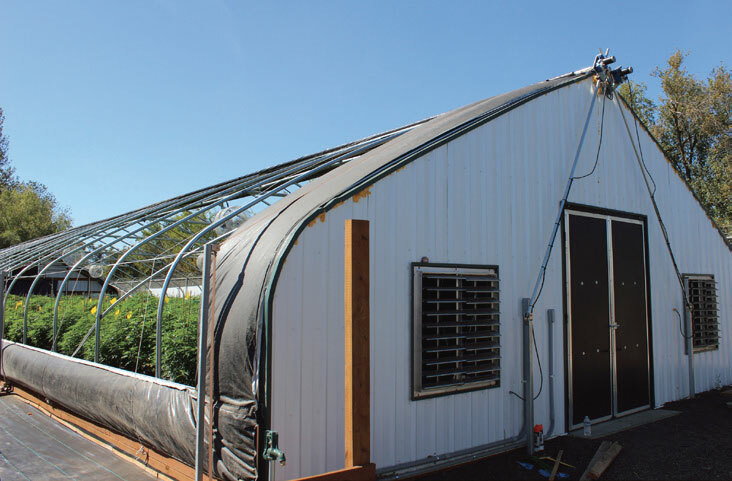 Reinforced greenhouse tape is not sensitive to climates with high heat temperatures or humidity, and is ideal for medium to long-term applications. 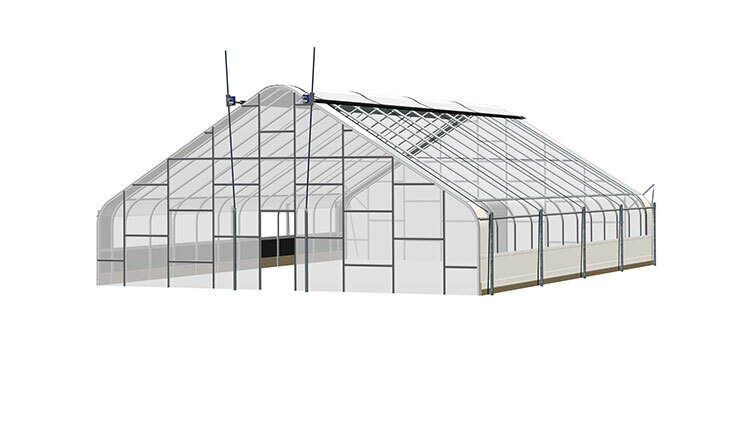 Repairing your greenhouse cover with reinforced greenhouse tape is a cost-effective way to extend the life of your greenhouse cover. This product is available in black, clear, and white. The roll size is 4” x 50’. Do not remove release liner until overlapping layer of material. Clear 2-sided tape is available in 1.75” x 300’, 6 rolls per case. Heavy Duty Zipper to create a doorway where you want it. This zipper is ideal when you want to create a entrance to your greenhouse. The improved 7 foot long zipper is made from a single 3"-wide piece of fabric. This eliminates the stitching required to join the adhesive strips to the zipper. This new single-piece design improves reliability by eliminating the stitching that could pull apart under heavy traffic or with rough usage. When the zipper is in place, open it and then cut the opening with the ZipWall® Zipper Knife™. This handy knife, cuts a 3/4" wide channel in the plastic so the zipper teeth won't catch on the plastic sheeting and bind. No more trimming. No more stuck zippers. Use one zipper for a simple doorway or place two zippers side by side to create a wide roll-up doorway. Zipper Knife™ comes with each box. Tarp Grabbers Tarp Grabbers let you add a grommet wherever needed. These plastic grommets are up to 4 times stronger than brass grommets and once installed are permanently attached. These are so convenient and durable they can be used with heavy duty plastic sheeting from 10 mil up to 20 mil thick..